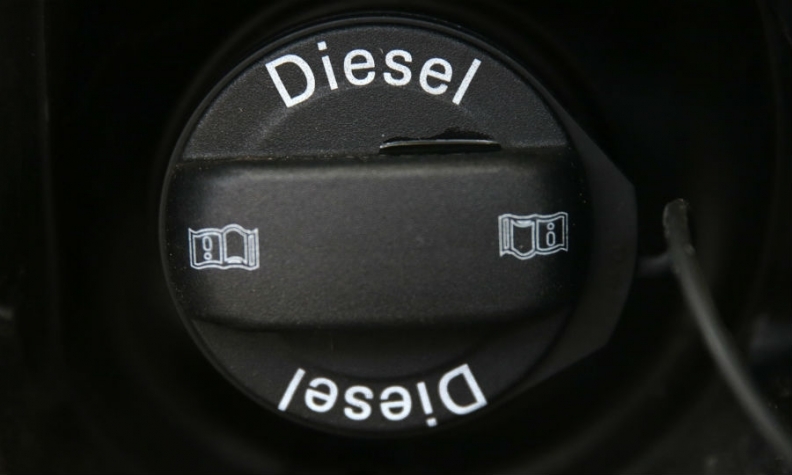 The diesel compromise in Germany is likely to feature both trade-in incentives and retrofits. PARIS/MILAN -- European automakers were drawn into a widening probe of diesel emissions testing on Friday, with French prosecutors examining Renault and British authorities seeking answers from Fiat Chrysler Automobiles. Volkswagen Group's admission that some of its diesel vehicles were fitted with software designed to hide their true level of emissions has highlighted that most cars emit far higher levels of health-threatening nitrogen oxide (NOx) in everyday driving conditions than in laboratory tests. Shares in Renault fell more than 4 percent to their lowest level in around a month after a source at the Paris prosecutor's office said it had launched a judicial investigation into possible cheating on exhaust emissions at the French carmaker. Renault said it respected all laws concerning exhaust emissions, adding that its vehicles did not have software enabling them to cheat on emissions standards. The French clampdown follows allegations by the U.S. Environmental Protection Agency (EPA) on Thursday that Fiat Chrysler was potentially using illegal software to hide excess diesel emissions. No manufacturer other than VW has been found to have installed software designed solely for the purpose of circumventing emissions tests, but regulators in Britain and Germany say that carmakers have made extensive use of a "thermal window" which allows manufacturers to turn down pollution-control systems for the sake of protecting an engine. German investigators said they had found that some carmakers defined the "thermal window" in such a way that exhaust treatment systems were switched off most of the time. Switching off or throttling back emissions treatment systems in cold weather reduces the risk of condensation building up in catalytic converters, which may otherwise cause rust and reduce exhaust-filtering effectiveness in the long run. It also improves engine performance and stretches the intervals between refilling vehicles with urea, an expensive substance needed to extract NOx from exhaust fumes. Regulators across the globe are now seeking to determine when a "thermal window" engine management system becomes an illegal "defeat device." Under U.S. law, there is an obligation for manufacturers to declare their emission control strategy. This has been the basis for EPA action against Volkswagen and now against Fiat Chrysler. The European Commission said it had been informed about the "worrying" EPA allegations and would look at what implications they might have for the European Union. "We will now work with the EPA, national member state authorities and of course Fiat in order to establish potential implications for vehicles sold in the EU," it said. The European Commission has limited powers to force polluting cars off European roads, since vehicle licensing in the EU is still conducted on a national level. But European regulators have introduced a more stringent testing regime designed to reflect everyday driving conditions in the wake of the VW scandal that will take effect this year. Under the revised Real Driving Emissions (RDE) cycle, the disparity between road and laboratory test results will be narrowed. Britain said it was urgently seeking information from the EPA over its allegation that Fiat Chrysler used hidden software to allow excess diesel emissions to go undetected. "We are urgently seeking further information from the U.S. Environmental Protection Agency... and will also be seeking information from the manufacturer regarding vehicles in the UK market," a spokesman at the Department for Transport said on Friday. Fiat Chrysler CEO Sergio Marchionne angrily rejected the allegations on Thursday, saying there was no wrongdoing and Fiat never attempted to cheat emissions rules with software detecting a vehicle was in test mode. But carmakers continue to face scrutiny in Europe. Earlier this week the European Commission called on Italy to cooperate with a German probe investigating allegations that the Fiat 500X, Fiat Doblo and Jeep Renegade models were equipped with illegal cheating software. Fiat rejects the allegations. Germany's motor vehicle authority KBA began testing the vehicles of several foreign manufacturers as part of a blanket probe of vehicle emissions after the Volkswagen scandal first came to light. And the country's transport ministry asked the European Commission to investigate Fiat Chrysler's emissions after being stonewalled by Italian authorities.